Ganguly (what an untimely death he had!) 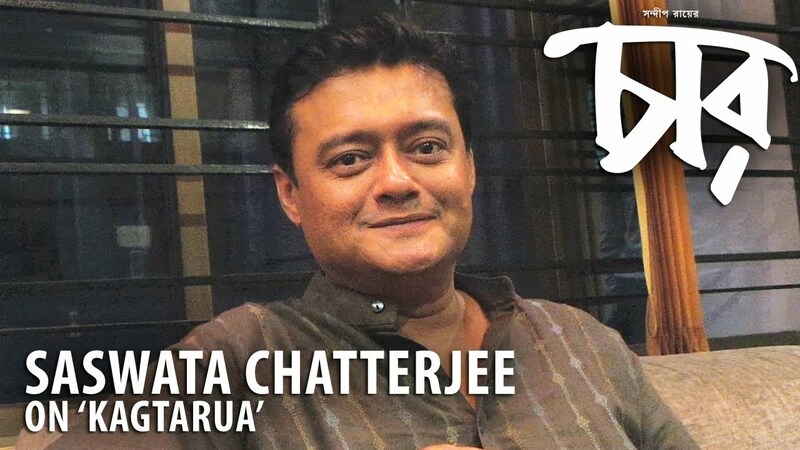 and Rajatava Dutta. 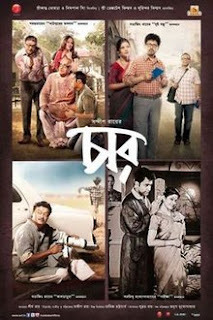 Sudipta Chakraborty plays Pijush's wife. What I love about this story is the surprise element. In a swift stroke, the story hinges from a regular tale of two friends who promised to meet up after years, to a script that is fancy and full of drama. I do not want to tell you what happens. That will be such a spoiler. The expressions of these actors are just splendid. Towards the end you will be left smiling. For sure. 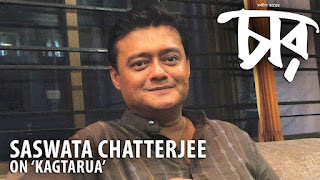 Well, Char is a must watch, not only for the merits of brevity (read, tight editing), music which is a throwback to Ray and fine acting, but also for realising how nice the third film, 'Kagtarua', could have been had Ray (Sandip) shaved off five minutes from the end. You couldn't have put it better. But in this age where you hardly come across films that leave a lasting impression this was really pleasant! !